This is the exclusive table lamp we have done with much affection. 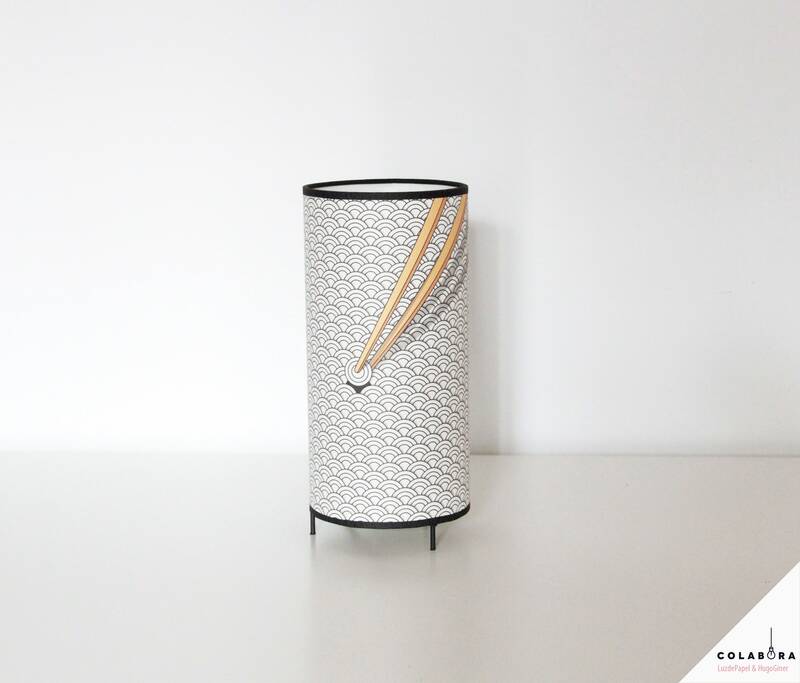 It Is The result of the collaboration of Valencian designer Hugo Giner and myself, maker and founder of LuzdePapel, Marta López. 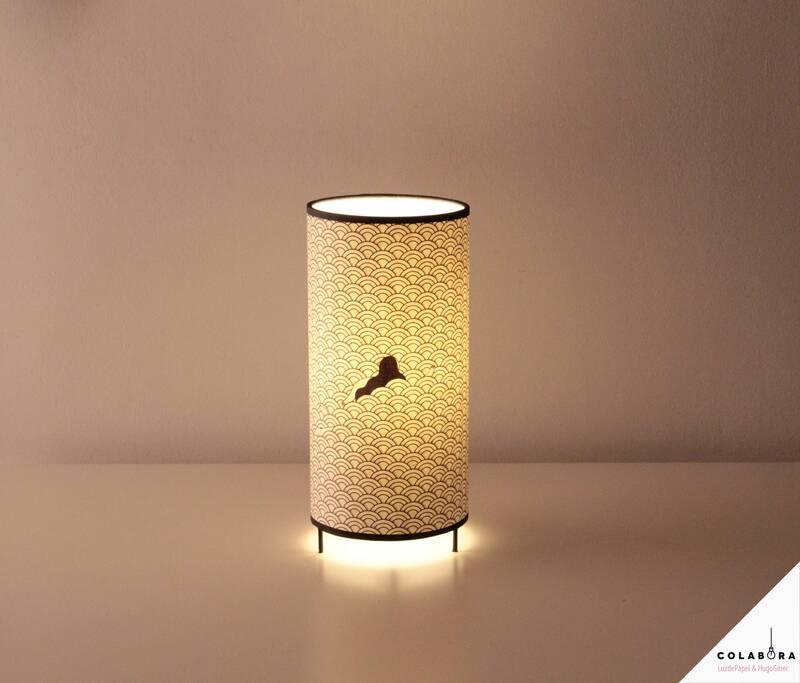 The screen has been printed in high quality with a nice design in which we can appreciate the motif of a silhouette of a female body swimming among the waves that form the typical texture of Japanese valance called Seigaiha. Elegant and discreet Colors perfect for decorating in the hospitality industry and also in the home. The Bulb (40 watts maximum if you use the old filament bulbs) is NOT included. We Recommend using a LED or low-power source. You'll Save on your light bill and help take care of your planet.